It's been a while since I've shared any thrifting finds. Despite the many yard sales, it all seems to slow down for me late in the summer - when our weekends get consumed with doing all the summer things we want to squeeze in. But there was a little thrifting this week that resulted in these little treasures I'm about to share with you. 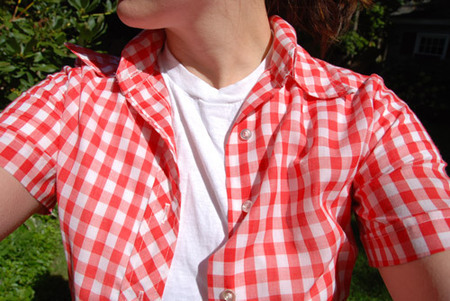 First up, my now-very favorite vintage boys shirt that I've worn for, um, let's see - three days in a row now. Nice. I can't tell you why I love it so, or why it makes me want to wear my hair in a ponytail, but it does, and I do. 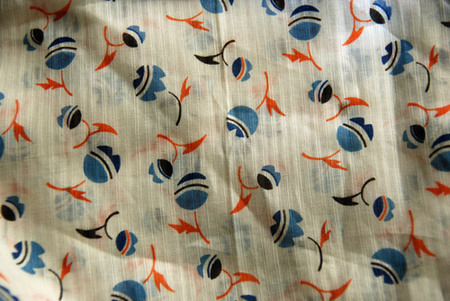 Some vintage fabric goodness. Not sure what this will be - but I do love those colors. A lot. And a hat for my little ones, specifically for Ezra, who I knew would love it so. 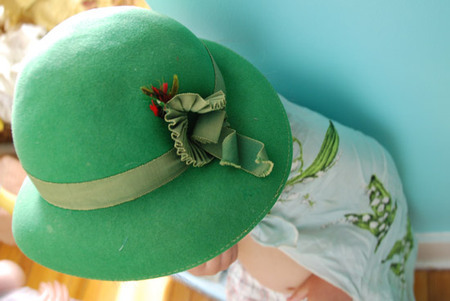 And yes - one more kids hat means one more mama skirt. Rock on. 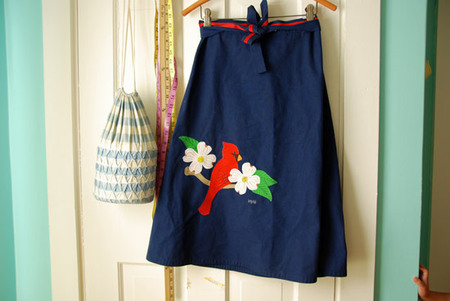 A vintage bird skirt I adore. And last. Oh, the best for last. 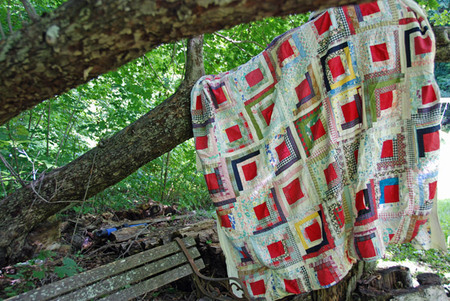 This log cabin - with it's red centers and truly varied assortment of fabric and old clothing is just beautiful. My heart always breaks a little when I find one of these old beautiful pieces of art stashed in a corner or under a table, undervalued and unappreciated, dirty and dingy at a thrift shop or yard sale, and away from it's family of origin. Ah, but now it's home, washed up, and on the back of my couch where it will keep this little family cozy - and very happy, too.